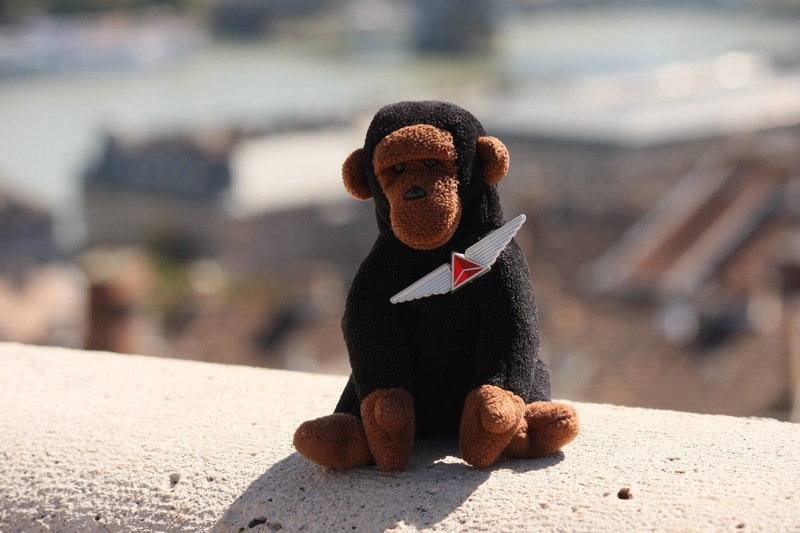 Today was a out and about day in Budapest for Kongo. 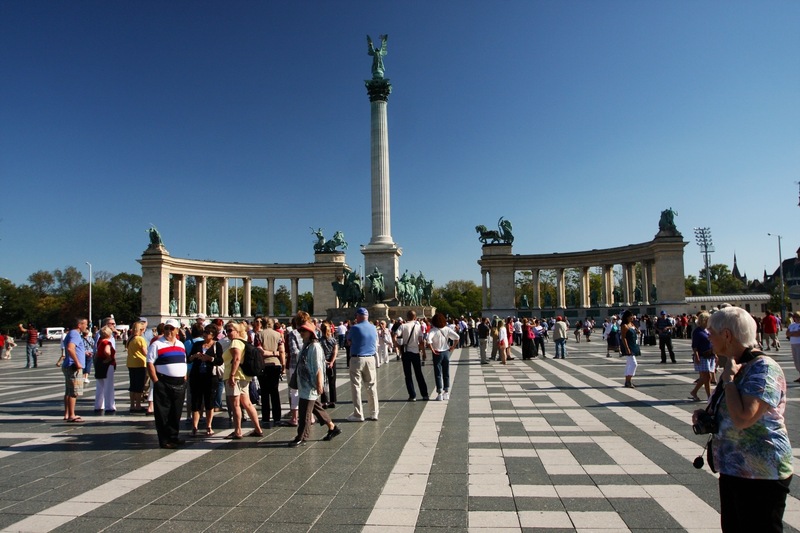 He visited Hero’s Square where Hungary honors its national heroes and the site of a massacre of Hungarian students by the Soviets in 1956, the Castle District in Buda, Saint Stephens Basilica, a walk along the Danube embankment, and a lot more. Another beautiful day. 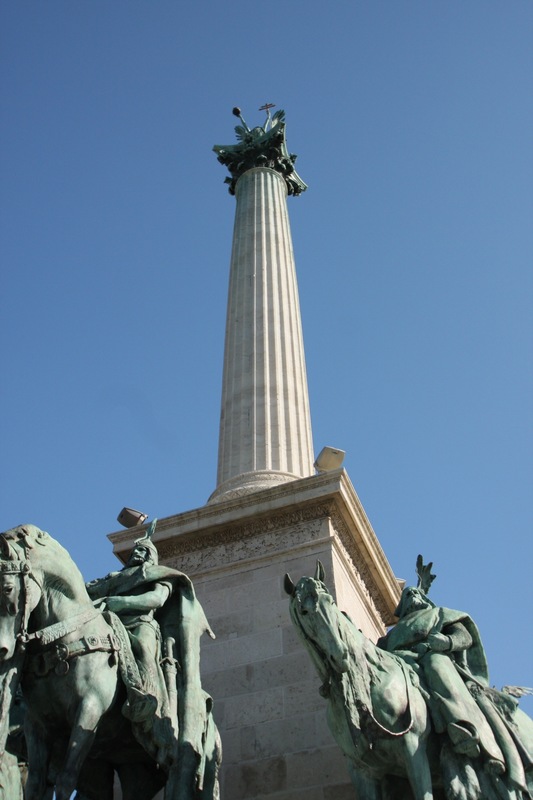 The skies in Budapest have a wonderful shade of blue and we learned that Hungary actually invented just about everything and that their trials in the 20th century were the result of “unfortunately being on the losing side.” No matter, it’s still a beautiful city. 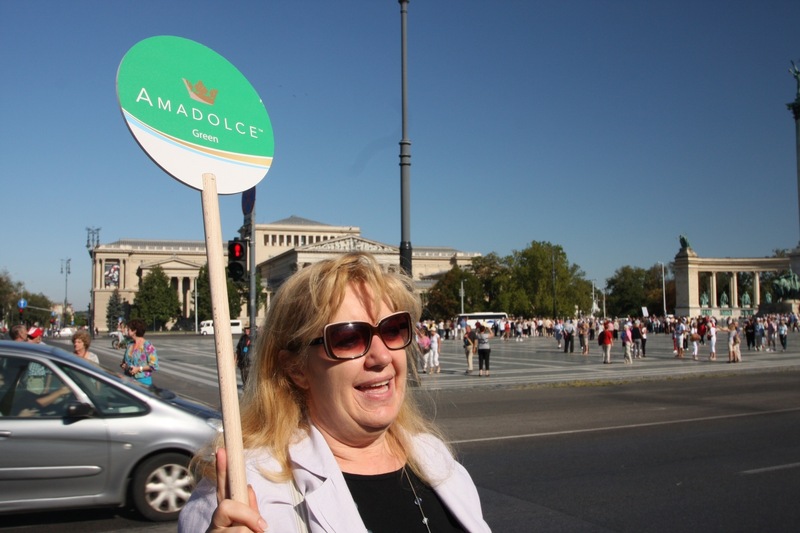 Our tour guide, Klara, keeps us on the straight and narrow and a tight schedule. 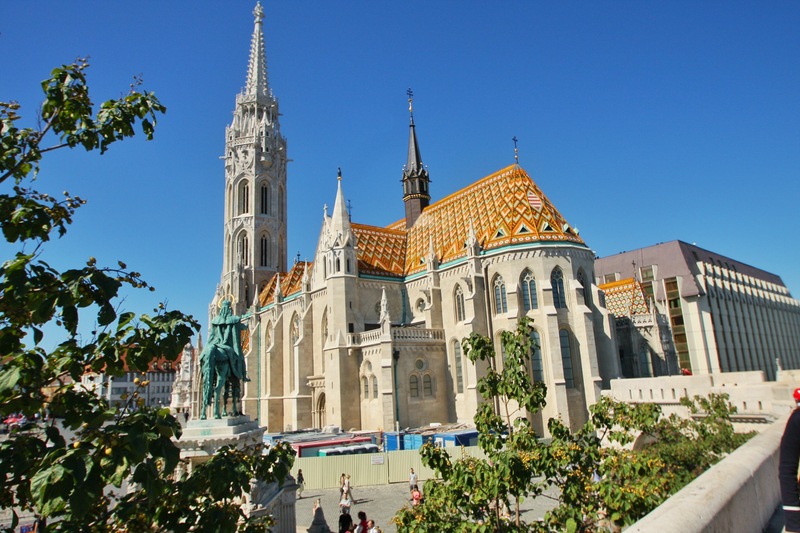 The Matthias Church in the Castle District on the Buda (western) side of the Danube. Hero’s Square where 4,000 were killed by the Soviets during the uprising in 1956. 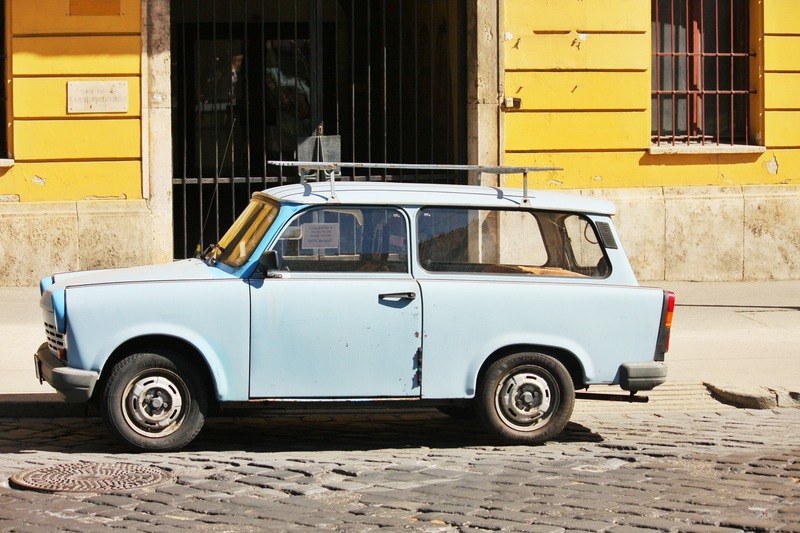 A “Peoples Car” made in East Germany during the Soviet era. It was a 10-year wait for one of these babies AFTER you paid your money. 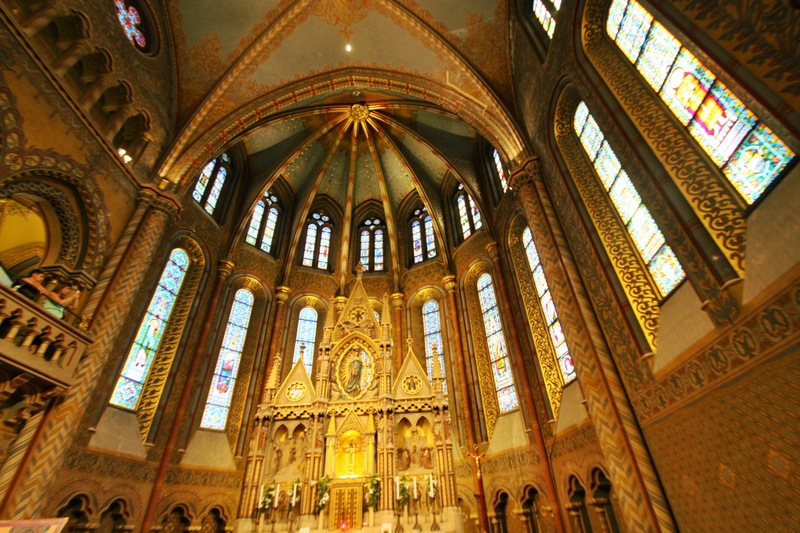 Inside the Matthias Church in the Castle District. 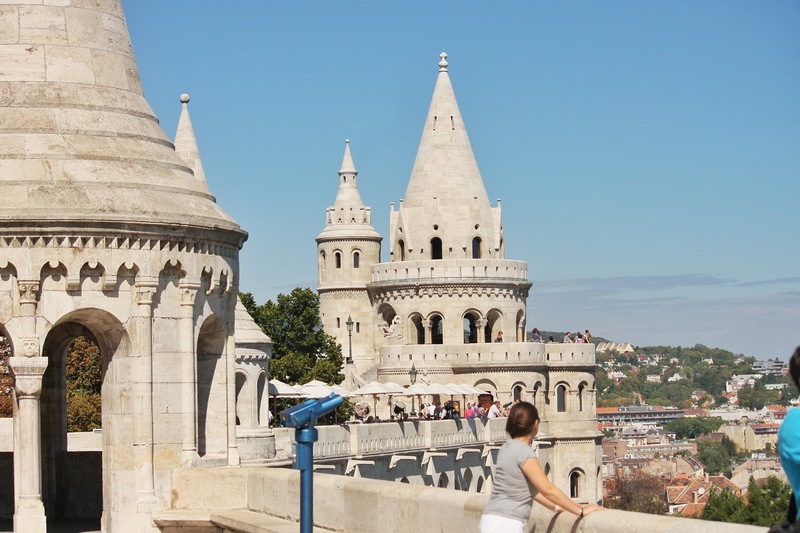 The Fisherman’s Bastion in the Castle District. 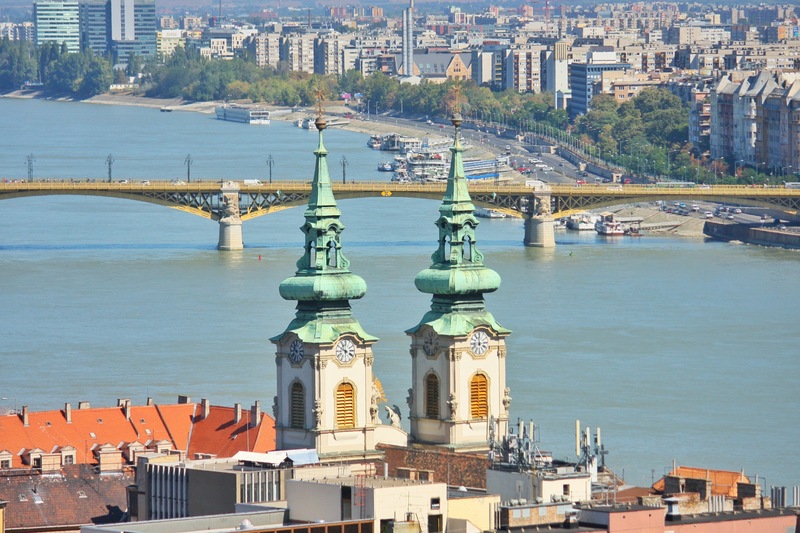 Built in the 18th century, the fisherman who lived below the fortifications on the Danube were responsible for its defense. Views of the Danube from the top of the hill in the Castle District. 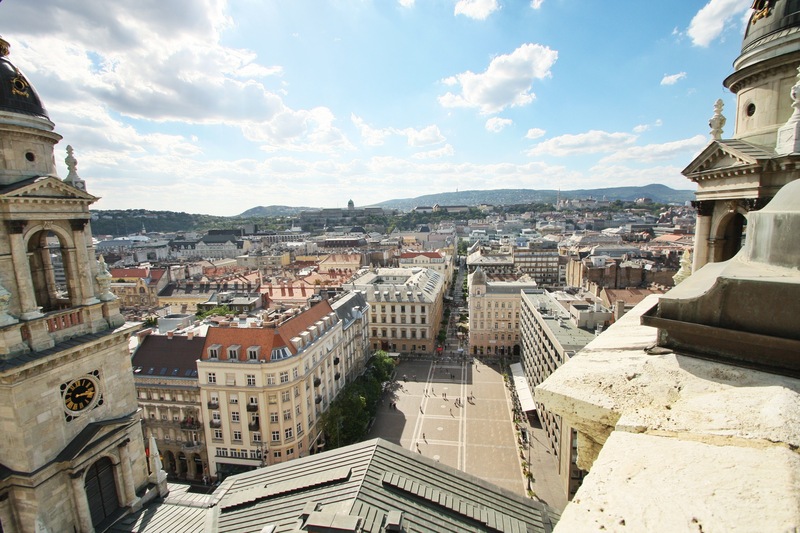 Views from the top of Saint Stephens Basilica. There are 330-some steps to get to the top and 330-some steps to get back down again. The 360-degree views from the Panorama Deck is definitely worth the climb. 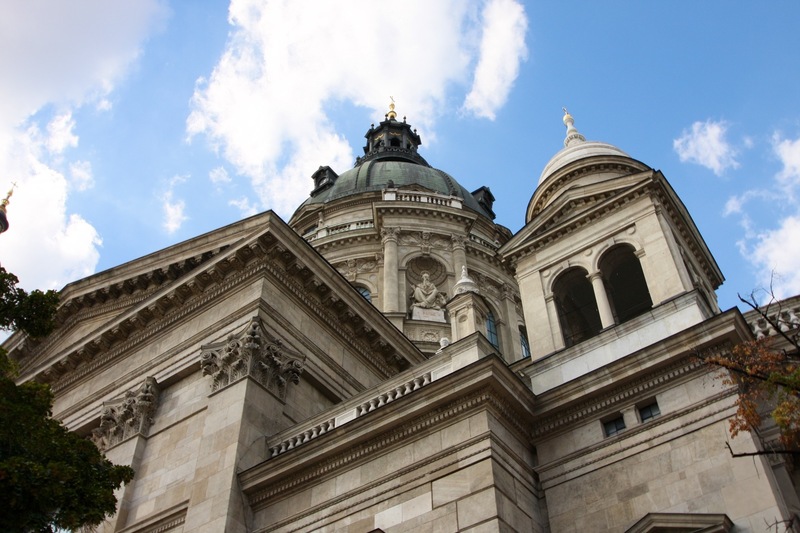 The front facade of Saint Stephens Basilica. 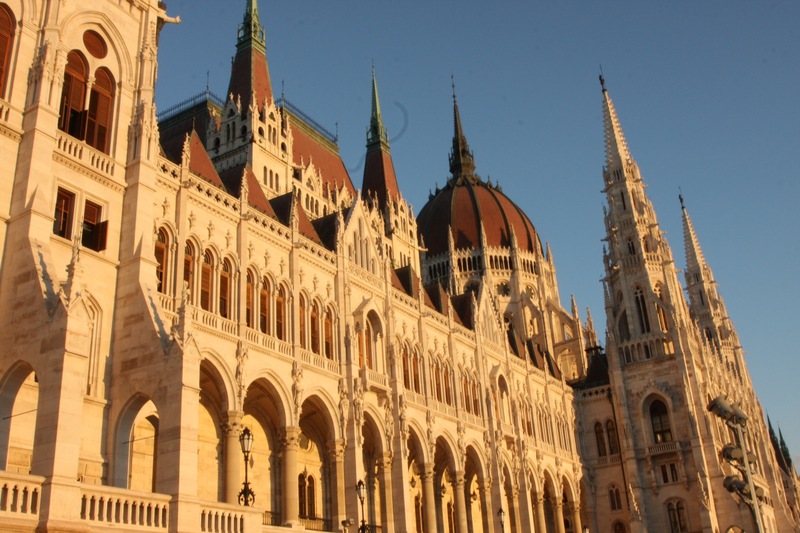 The Hungarian Parliament building on the Pest side of the Danube. 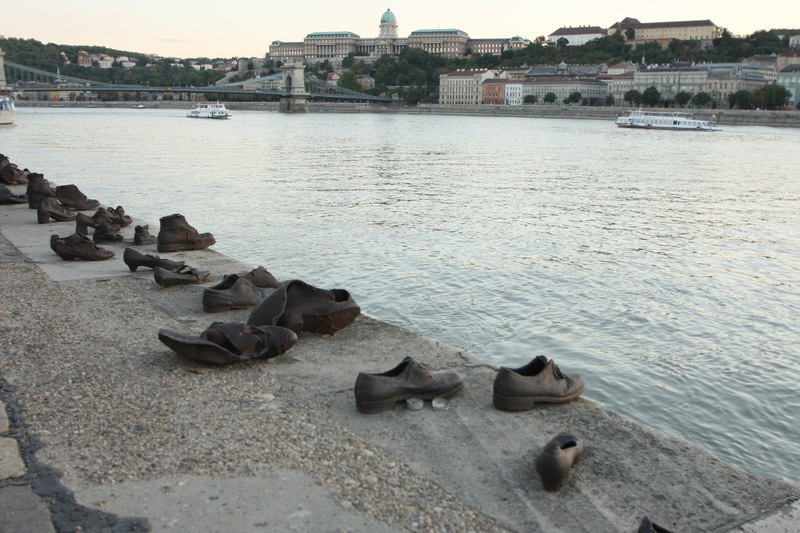 Bronze shoes serve as an eloquent memorial to more than 3,000 Jews and gypsies who were shot in mass by the Nazis in 1944 and dumped in the Danube. Many of the shoes hold remnants of candles burned to remember the dead. 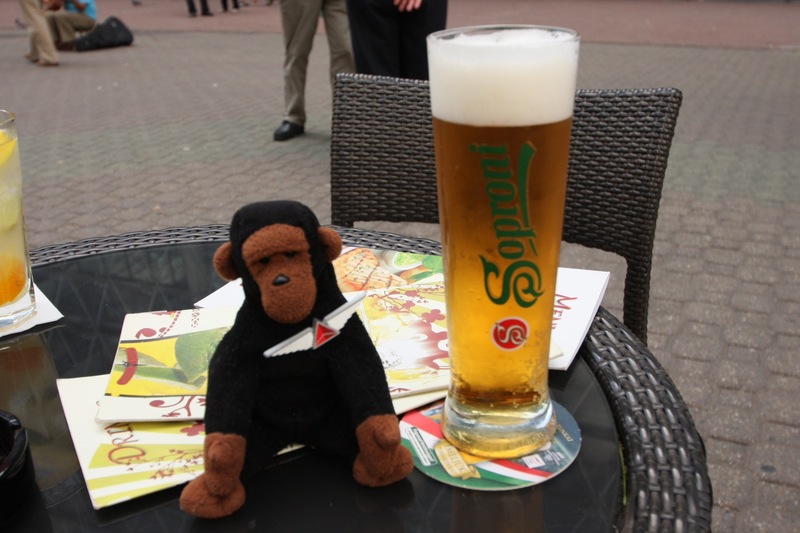 Kongo samples a Hungarian beer at a sidewalk cafe in Budapest. A view of Saint Stephens from the side. All is forgiven. He looks great in his badge. 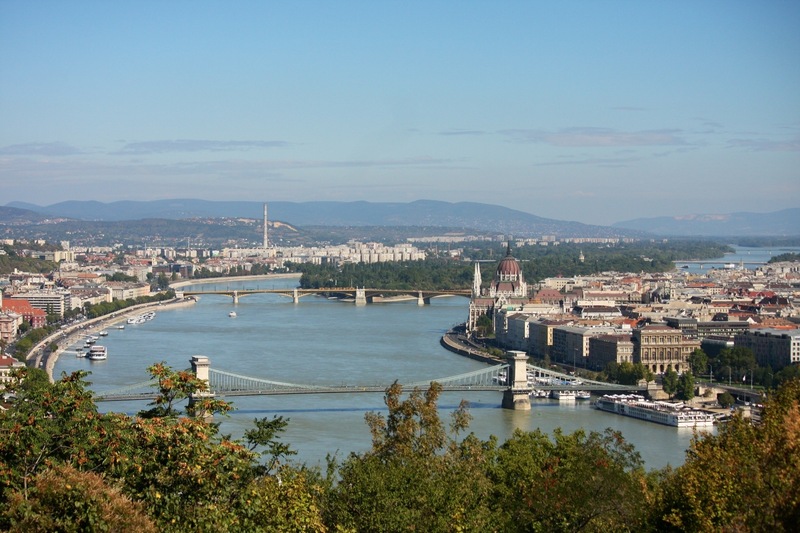 Budapest doesn’t look too shabby either. Great photos! We’ll be there soon! 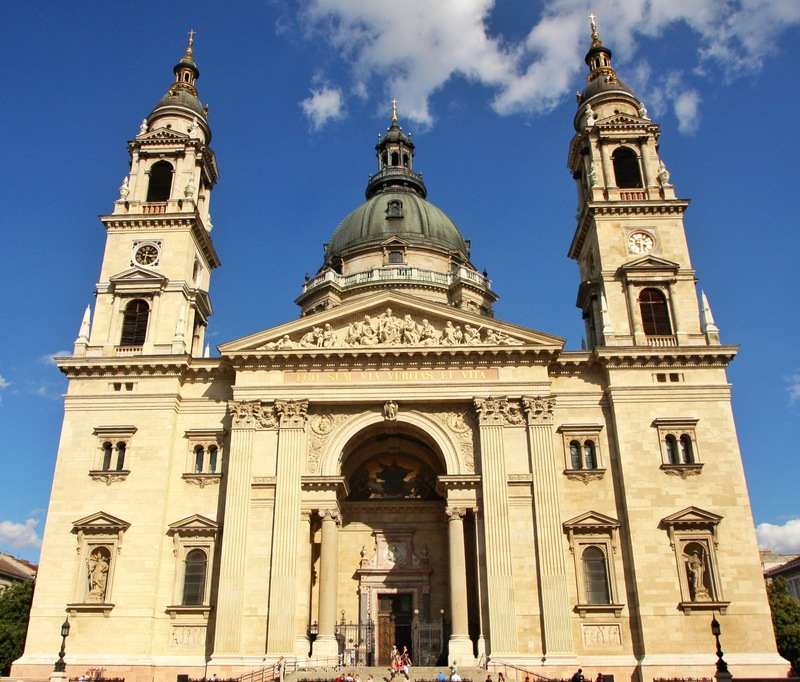 Budapest is a wonderful city. Amazing colors in the sky. Classy, scenic, and very affordable. Nice people. Enjoy it. 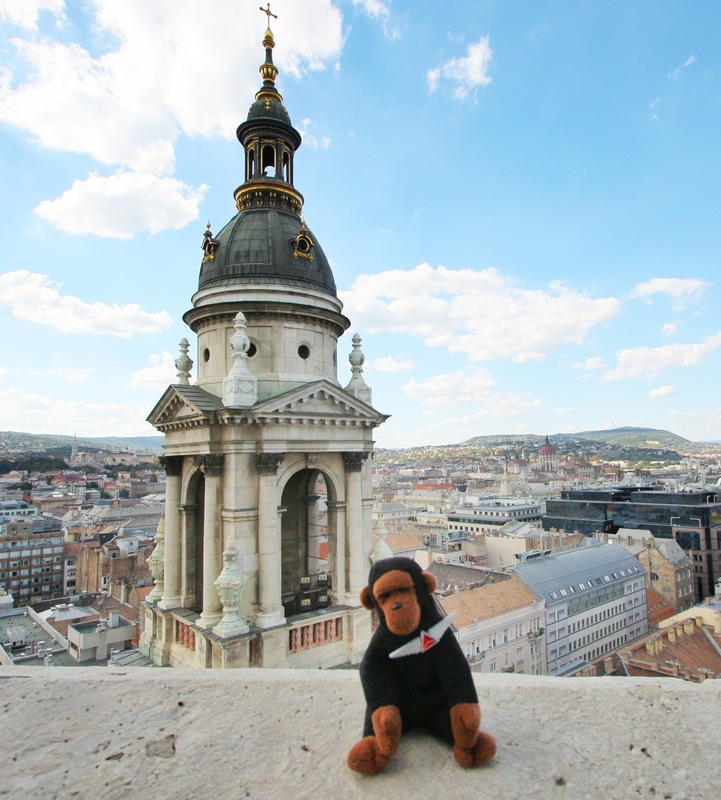 I have heard good things about Budapest. Thanks for the photos. Now I know I want to go. The photo of the shoes is haunting. I love it. Nice work.